On Monday I introduced Sophie from freckles and Stars and did a Q&A with her (Guest post- Freckles and Stars). Today I'm going to be answering Sophie's questions to me. We both chose an area that we wanted to talk about and mine was being body positive. It's an area that I still struggle with in my day to day life but that doesn't stop me from trying to help and encourage others. Bellow is my answers to her questions. Be sure to go check out her blog as well! 1. Why do we need to talk about being body positive? Right now technology is moving forward so quickly, i's the norm for us to have a phone, tablet or laptop and people from younger ages are having assess to this equipment. This is cool and great but it also means that access to the internet and social media is far easier than ever before. There's an increasing amount of pressure being put on to girls and guys or anyone else to be a certain way, especially in their bodies.With this increasing amount of pressure I think it's important that we talk about and encourage people to like themselves for who they are. I'm a guide leader at my local unit and it is not uncommon for me to over hear 11 year old girls saying that they're fat and need to diet. Personally, that is the main reason that I'm trying to encourage body possitivity, especially at guides. These girls are children and already they are disliking their own bodies and something needs to happen to change that because it's wrong for them to dislike themselves at such a young age. 2. Is the recent media having a negative or positive effect on people's views on their body image. In this very moment in time, I think main stream media is having more of a negative impact, simply because summer is coming. Right now the pressure to have a perfect beach body is increasing an the constant bombardment to have a flat stomach and thigh gaps can be very damaging. However, there are some positive messages that are trying to make their way through, but right now with summer on it's way it is quite negative. 3. Why do you think we have got to the point were people feel so pressured to look a certain way? I think social media, especially Instagram, has lead to a pressure for people to look a certain way. I really love Instagram and enjoy looking at some epic photos other people have taken, but for me it creates a bit of a false front for peoples lives. We see great pictures of peoples homes, clothing, food and bodies and it can lead to us striving for that ourselves. There's nothing wrong with that in small amounts but these lives aren't maintainable, especially with accounts that focus on a person's own body. Most people don't always see the tricks, lighting and timings that these photos have been taken in to look that way and that can cause people to strive for an unmattainable body image or fell the pressure to look like that. 4. How do you think the world will overcome body shaming? Talking about it. 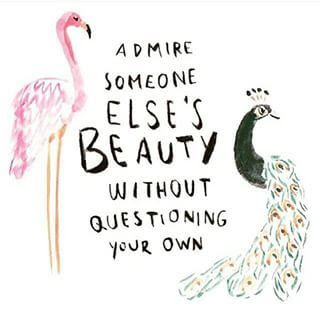 Being brave and being real about your own body can be contagious and help other people. I don't have a magic formula for this one sadly. People who have been flowing my blog for a while will know that I still struggle very much with my eating disorder and body dysmorphia. But for me personally, having a relationship with God and knowing His love does help on those bad days. Being able to tap into the fact that I was made by someone who loves me really does help. God doesn't make mistakes, so that means how I look most certainly isn't one. Something that also helped me was no longer following triggering accounts on social media. I started following people like @bodyposipanda and @my_life_without_ana who are epic in the body possitivity scene. The simple encouragements that were in their posts really helped break the pressure that I often found on Instagram. I used to write on my mirror in whiteboard pen. I'd write engorging scripture but also quotes. One day I just wrote 'perfect' right in the mirror (it was my friend who encouraged me to write it), so every day as I got read to go to college I would read it. 6. What are some of the serious effects on people? Not liking yourself can have an impact on your mental health. Things in small dosages are ok. But it's like anything else, too much can be harmful. I really fell into that rabbit hole and was following some very damaging accounts and taking in a lot of negative things. I don't want to go into too much detail just encase this answer is mistaken as an instruction manual for harmful things, but yes anxiety, eating disorders and a range of other mental health illness can be caused by having low self worth and acceptance of your body and those negative thought and feelings being fed over long periods of time. 7. How can we reach out with our message of body positive to everyone. Be encouraging to your friends and the people around you. It does not cost a thing to give someone a compliment or make them feel good about themselves. Social media is fantastic for this, its you friend in this sense so use it. 8. When you are confident and happy with your body, what good things come of it? You just feel a lot happier. You get a lot more things done, you're more productive because you have self worth and believe in yourself. Being happy in you body leeks into other areas, I write more blog posts when I'm happy in myself, I believe I have a voice worth hearing. I've only ever experienced one bad thing. That was when I was at school and my mental health wasn't the best. I didn't have an eating disorder or the body dysmorphia but I was in a very bad way with other mental health illness shall we say. For this reason I slipped through the net. No one saw what was going on because I seemed so happy in my body and I was honestly happy with how I looked, so they saw no reason to be concerned. Due to this I got away with doing harmful things for myself for about 5 years. If I was very self conscious and shy in my body I think my behaviors would have been noticed and taken seriously and the school would have stepped in. But that's the only negative I've ever come across and I think very few people will find themselves in that situation. 10. Is everyone completely body positive? No! I'm not and I still struggle to be and I know I'm not the only on in this position. We all have bad days and that ok.
11. Should everyone be body positive? Being body positive is a choice that has to be made by you and you alone. I don't like telling people they should do something as I don't want them to ever feel shame for not sharing my opinion. However, I'd really recommend it for everyone. We're all going to find it in different places, I find a lot of it in my belief and relationship with God. Other people find it in role models and some from inspiring books. It'd be nice to live in a world were people can accept themselves for who they are. 12. Do you think the media/ government/ activists need to do more? Tricky one. I think a lot has been done already. A few years ago I don't think the idea of body possitivity was around much at all. So it's great that it's grown to be this big already. In guides a new role has been created called a Peer Educator. These are teenagers and young adults who have been trained to talk to guides about body possitiviy, resilience and self acceptance. The fact that this role now exists (because it didn't 4 years ago when I was a guide) is great proof that people talking about it has made people in higher positions do something about it. France has just passed a model health law what is just amazing. The law focused on models having to have a healthy BMI and have regular health checks with doctor to make sure that they are healthy. This law also include Photoshoped images having to be openly published as being touched up. (i'd look it up if I was you, it's great) Having healthy looking models and not stick thin one can really break the chain of people believing you have to be thin to look pretty, what is great for body possitivity,so governments in some countries are doing things and it's amazing to hear. More can always be done and in the UK it'd be great to see some of an involvement in the government but so far it's a great start. 13. What do you see happening in the future with body positive? Hopefully more things like the Model Health Law in France. I think that the fashion capital of the world actively putting in place laws to promote healthy people can spread to other countries. It'd be great to see something like that happening in the UK. Well done if you got this far!! I hope you enjoyed this one, I've really like working with Sophie on this so be sure to look out for our book reviews each month. If you think there is any other questions that you'd like me to answer, put it in the comments bellow and I'll answer it. Keep on smiling, you're doing great!